Premier Clinic is expanding! Our latest aesthetic clinic is located in Puchong, to go along with our existing outlets in Bangsar and Taman Tun Dr Ismail. 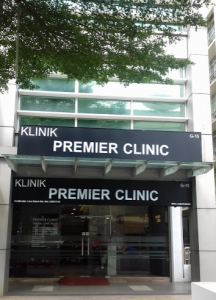 Conveniently located in IOI Boulevard, Premier Clinic Puchong is in a prime and central location, and can be found on the same row as RHB Bank as well as PappaRich restaurant. Our medical aesthetic clinic offers a wide variety of treatments and procedures to help and address any concerns you may have regarding your look and appearance. Examples of treatments currently available at our aesthetic clinic in Puchong include procedures for hair loss, slimming, wrinkles, body contouring and many more. The resident doctor at Premier Clinic Puchong is Dr. Michelle Lai, a highly professional doctor with several years of experience under her belt. Her areas of expertise includes FUE hair transplant, breast enhancement and vaginal rejuvenation, so it is advisable to visit this particular branch if you would like those procedures done. There is ample parking available on the road in front of Premier Clinic Puchong, but you may also choose to park indoors at the basement level for greater security and convenience. Car park charges are an affordable RM1 per hour. Do give us a call at +6012-6625552 to schedule a consultation session with our friendly and highly experienced aesthetic doctors and staff members. Our team will be more than happy to assist you if you have any specific treatments or desires in mind regarding your appearance. Address: G-15, IOI Boulevard, Jalan Kenari 5, Bandar Puchong Jaya, 47100 Puchong, Selangor (same row as RHB Bank and Papparich Restaurant). Clinic hours: Monday, 2 – 7pm. Tuesday – Saturday, 10am – 7pm.